Furnaces need maintenance and repairs to keep your home heated during the cold months. To repair some furnaces, you need a professional, but you can do simple things such as replacing a furnace fuse yourself. These fuses are different from the ones used inside the home and are usually located within the furnace itself. Furnace styles vary, and changing the fuse will not be exactly the same in each one. Disconnect any power source to the furnace. There might be a short somewhere in the wiring, and you could possibly get electrocuted. Look for a panel close to the main box that is just for the furnace. It also may be located on the furnace itself. Some may have fuses to remove, while others may require tripping a breaker--that is, turning off the breaker. Should you need to remove the fuses, remove the one that is controlling the power. Always, when in doubt, just shut off all electricity. Use an amp meter to make sure there isn't any electricity flowing where you will be working. 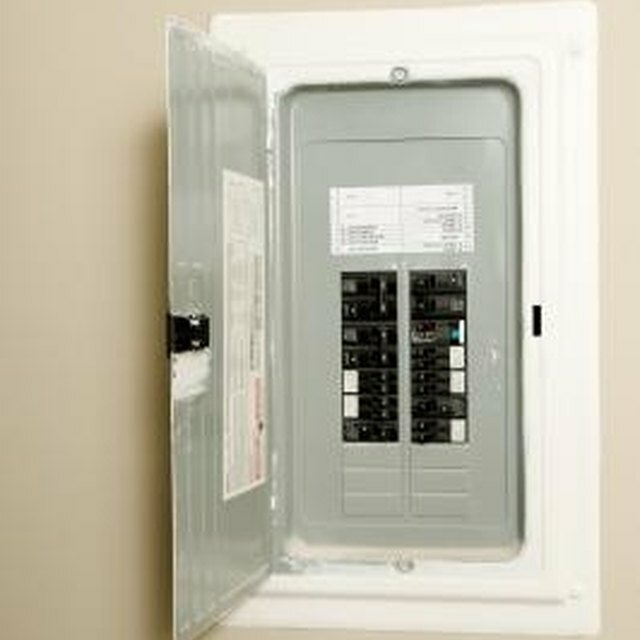 Place the electrodes on the fuses and wires connecting to the fuse box. Proceed only when it's safe. Use the screwdriver to remove the cover to the fuse box if it warrants one. Check fuses to see which ones are blown or no longer working. The blown fuses look black on one end or both. Those are the ones to replace. Clean off the ends of the fuses to make sure there will be a connection. Insert the fuses in the proper slots of the box or panel. Before closing the panel box, turn on the electricity. Use an amp meter to check the flow of amperage to the fuses by placing the electrodes on the fuses themselves. This will show you that the fuses are working. If everything is in good working order, either shut the fuse box door or screw it back on, whatever the case may be. You can replace old fuses with ones called time-delayed fuses. Also, there are slow-blow fuses that can save on your energy bill and repair time. Check the new fuses for any signs of wear and possible broken pieces. Clean your furnace regularly. This will keep the fuses in good working order for a longer period of time. If fuses keep blowing when you turn on the power source, most likely there is a bad electrical connection somewhere. You are dealing with electricity, so use caution and be safe. Do not attempt to repair anything you have doubts about. It's better to pay a professional than risk injury.